Friendly staff and nice rooms with excellent sun light. No fanciness, even though the staff wore professional clothing. Very friendly and open to help. Explaining stuff was pedagogical. Located in a quiet neighborhood, the Hotel Rekord was a great place to stay! It was about a 20 minute walk to the area restaurants and bars. The accommodations were great, with a spacious room and plenty of comfortable amenities. Excellent breakfast, tasty coffee with milk and home baked cake. Good buffet choice! Lots of different fruits; choice of ham & cheese! Very friendly staff ! Beautiful size rooms - separate tv lounge! Near to underground! Will definitely be back ! The area where the hotel is located is great, it is far enough from all the tourists but with great transportation links for all major attractions (Bus V13 stops in the corner and Muntaner station is also around the corner). There are very nice restaurants around as well. The room was spacious and comfortable, and the staff was helpful in general. Issue with original room. Hotel staff couldn't do enough to help and accommodate us. The staff were very friendly and helpful. The room was cleaned daily to a good standard. Close to the train station. Bed was large. Nice staff. Big room. Good if you just need a place to sleep and spend most of your days out. Hotel Rekord This rating is a reflection of how the property compares to the industry standard when it comes to price, facilities and services available. It's based on a self-evaluation by the property. Use this rating to help choose your stay! Spacious and comfortable rooms with modern décor come with satellite TV, a safe and Nespresso coffee machine. Each one has a private bathroom with free toiletries and a hairdryer. The Rekord Café offers a buffet breakfast. Staff at the 24-hour reception can provide information about what to see and do in Barcelona. The surrounding area offers a selection of restaurants, shops and lounge bars. 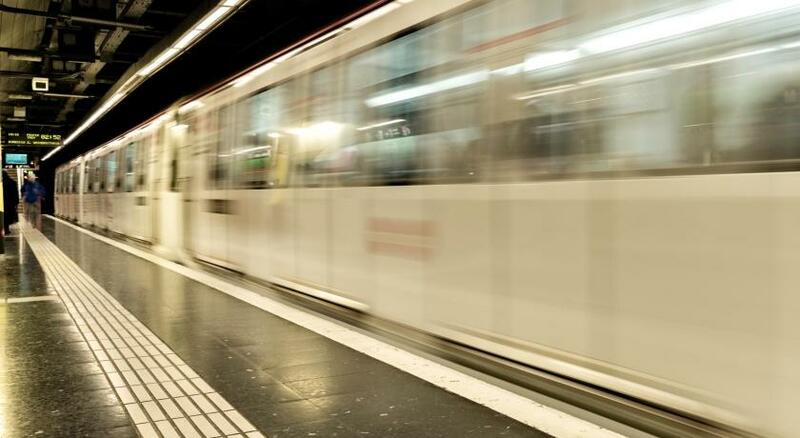 Muntaner Train Station is just 150 feet from the hotel. Sarrià-St. Gervasi is a great choice for travelers interested in monuments, culture and city walks. When would you like to stay at Hotel Rekord? Comfortable and spacious room with a queen size bed or 2 twin beds, safe, free WiFi, desk, Nespresso coffee machine, radio, and CD player. The private bathroom comes with free toiletries, hairdryer, slippers, and bath or shower. Public parking is available at a location nearby (reservation is needed) and costs EUR 20 per day. This attic room features a king size bed, a seating area, safe, free WiFi, desk and Nespresso coffee machine. The private bathroom comes with free toiletries and hairdryer. Please note this room is accessed via stairs. Overlooking an inner courtyard, this spacious and comfortable ground-floor room comes with 1 queen size bed or 2 single beds, safe, free WiFi, desk, Nespresso coffee machine, radio, and CD player. The private bathroom comes with free toiletries, hairdryer, slippers, and bath. This family room has a soundproofing, electric kettle and satellite TV. This family room features a seating area, tea/coffee maker and dining area. Hotel surroundings – This neighborhood is a great choice for travelers interested in monuments, culture and city walks – Check location Great location - show map Guests loved walking around the neighborhood! House Rules Hotel Rekord takes special requests – add in the next step! Hotel Rekord accepts these cards and reserves the right to temporarily hold an amount prior to arrival. Please inform Hotel Rekord of your expected arrival time in advance. You can use the Special Requests box when booking, or contact the property directly using the contact details in your confirmation. I believe my bed was broken. But my partners side was all whole and comfortable. we were located on the ground floor. Every morning between 6-7am it was very noisy and loud with people constantly passing by in the corridor. They did maintenance work (drilling) in the morning whilst we were sleeping. It would have been nice if the reception staff informed us about it in advance. The room was run down and in real need of renovation. Room was not being cleaned, we had to ask for this. We were staying at the attick and the staircase to the attic gives a really bad impression (completely run down). There are 2 rooms at the attic, as there was quite some noise the whole day and night coming from a machine on top, we changed to the other attic room, which was a little better. This room was also in better shape (room 602). Overall this is not a 4 star hotel by far. We are visiting Barcelona frequently, but we are not coming back to this hotel. The room on my arrival wasn't cleaned properly, I had to ask specifically to have it cleaned again before I installed my self, this is not appropriate for a 4 start hotel. The breakfast could be better. Also, please paint the bathroom in any other colour that is not that awful red you have at the moment!